Well guys, today’s news just keeps getting better and better. Out of nowhere, one of rock’s biggest acts has just dropped a brand new, massive single. As you can see from the title and image, it’s Bring Me The Horizon. And as you can probably guess, yes, we’re currently freaking out! After putting up cult-ish imagery all around the world teasing some sort of news, Oli Sykes and company have finally broken their silence and returned with their first new song since 2015′s critically acclaimed LP That’s The Spirit. 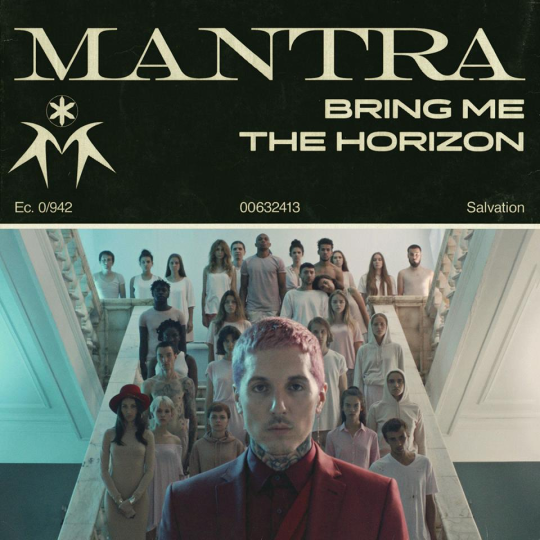 Titled as “Mantra,” according to Sykes, Bring Me’s new track is their attempt at putting a new spin on heavy music. To check out Bring Me The Horizon’s catchy and heavy new track, be sure to look below.